Last summer, Carleton student Kayley Lenders spent a couple days each week giving legal advice to inmates on remand inside sprawling Luzira Prison in Kampala, Uganda. At first alongside pro bono lawyers and later on her own, Lenders helped prisoners figure out whether to ask for bail, what to say in trial, and how to defend themselves against charges ranging from stealing chickens to feed their families to possession of contraband ivory and manslaughter. 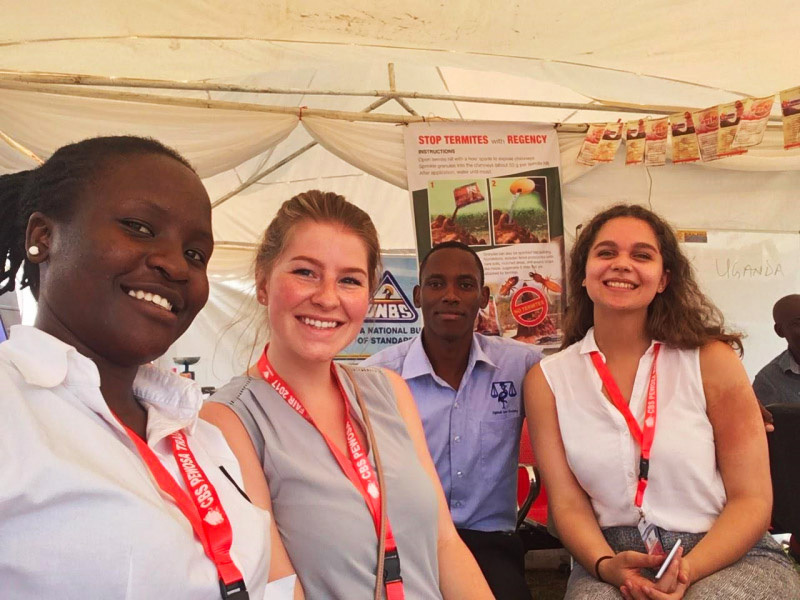 Lenders, who is in the Global Law and Social Justice stream in Carleton’s Bachelor of Global and International Studies (BGInS) program, minoring in Human Rights, was in Kampala for three months to intern at the Uganda Law Society and take two courses at Makerere University. “The experience changed my perspective and changed my life,” says the third-year student who had never been to Africa before and plans to work for an NGO eventually. Lenders with fellow students during her international placement. 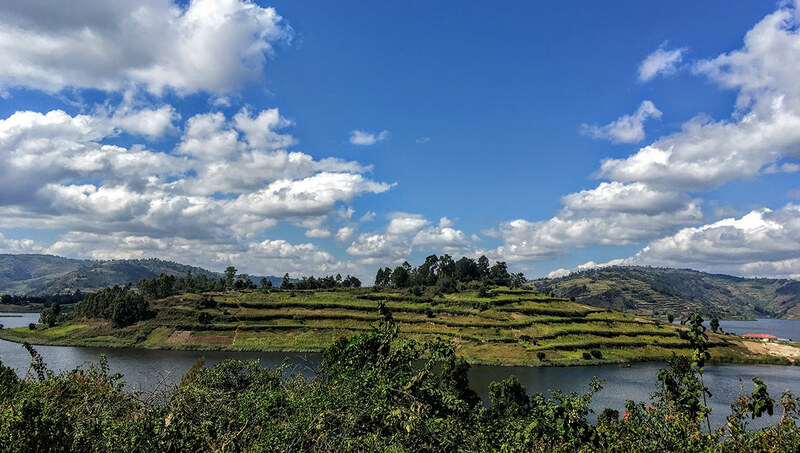 Lenders knows that the advice she could offer prisoners as a visiting student paled in comparison to support from hard-working Ugandan lawyers, but she tried to help as much as possible, and at the same time gained incredible insight into the country’s complex justice system. She also learned from local professors in a sociology course on African social movements and a political science class on African international relations, and was able to travel within Uganda as well as take side trips to Rwanda and Kenya. “Everything was overwhelming and exciting at first,” says Lenders. “But then it became normal. It was my life for three months, and when I got home, Canada seemed boring. Lenders’s summer in Africa embodies one of the overarching goals of Carleton, which, as expressed in the university’s Strategic Mandate Agreement (SMA) with the Government of Ontario, is to empower graduates to become “highly qualified participants in a constantly evolving economy and society,” with “experiential learning at home and abroad” helping students along this path. The SMA, which was approved late last year by the province’s Ministry of Advanced Education and Skills Development, will guide Carleton’s evolution until 2020. 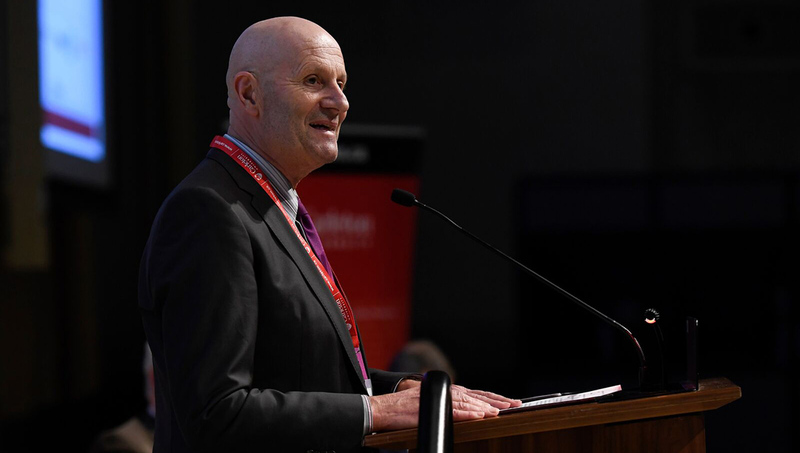 It is essentially a way for the university to explain “what we’re all about,” says Interim President Alastair Summerlee, “and how we are improving both the student experience and our impact in the world” though research, education and community collaborations. 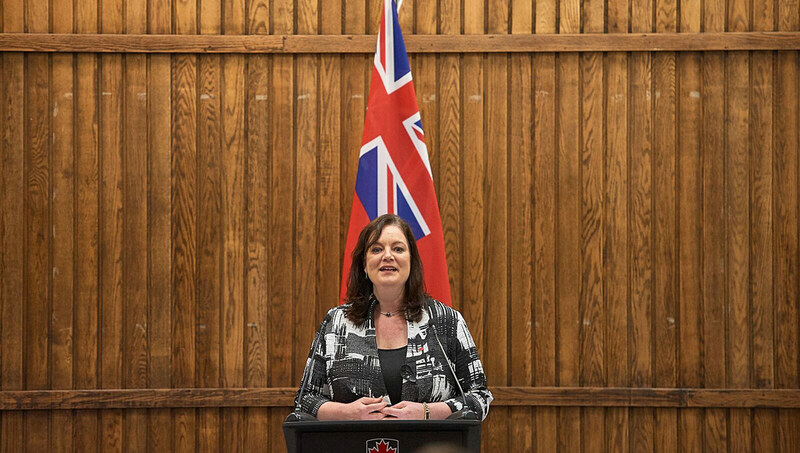 The new agreement marks the second of three stages in Ontario’s SMA process, an incremental mechanism for the province to explain the role of universities to the public in a meaningful way. The first SMA covered the period from 2014 to 2017. The next SMA, in 2020, will link a percentage of provincial funding to a university’s ability to meet performance objectives that it develops internally. Initially, says Summerlee, there were misperceptions that the SMA process — which did not exist previously — would see the government telling universities what to do and pushing universities to further differentiate from one another. Neither concern is valid. “You only have to step onto a campus to know that each university is different,” says Summerlee. “All Ontario universities pride themselves on being independent. However, in reality, we’re all funded by the public purse, and there’s a delicate balance between being responsive to the public and academic independence. “In the first SMA, universities were asked to describe ourselves and our aspirations. The second iteration is really all about the ways that we will measure our successes. And the third SMA will describe the commitments that we will make to demonstrate improvement. This last version of the SMA will have targets that will be tied to funding. The introductory section of the SMA spells out Carleton’s vision and aspirations, which includes a reference to the university’s Strategic Integrated Plan and its focus on sustainable communities as a foundation for global prosperity, as well as Carleton’s goal to become “an intellectual hub for technological, social and cultural innovation” within the National Capital Region and Eastern Ontario. Then things get more specific. 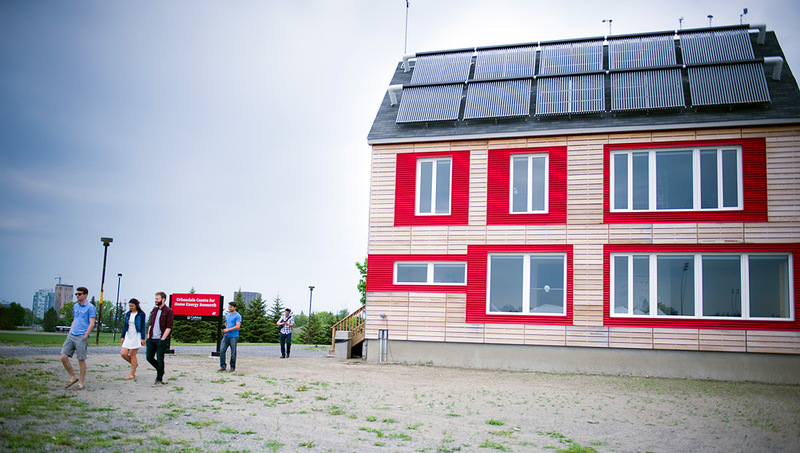 In terms of research excellence and impact — a major focus for the university in general and throughout the SMA process — the document discusses Carleton’s partnerships with community organizations, industry and government, and its expertise in areas such as a water, physics, intelligent systems, migration and diaspora studies, sustainable energy and more. Three system-wide metrics will evaluate the research performance of all Ontario universities: the amount of funding and share of total funding received from Tri-Council agencies (the Canadian Institutes of Health Research, the Natural Sciences and Engineering Research Council and the Social Sciences and Humanities Research Council); the number of publications per faculty member; and the number of citations per paper. Tri-Council funding is especially significant because it also plays a role in securing support from the Canada Foundation for Innovation and from the federal government’s Canada Research Chairs program, as well as boosting scholarships available to Carleton students and the university’s performance in international rankings. Carleton has also developed a pair of internal research metrics for the SMA: research funding received over and above Tri-Council support; and formal research partnerships signed with government, industry, community groups, NGOs and other external organizations. 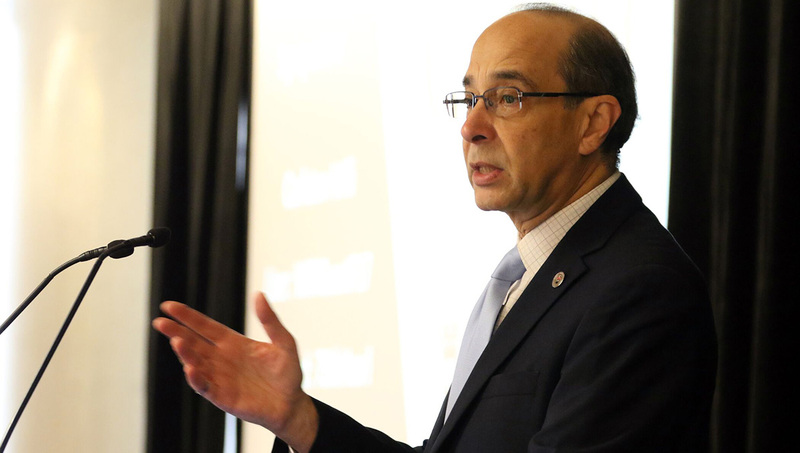 “We want to do impactful research that makes significant contributions to our society and helps with economic development, health, sustainability and more,” says Vice-President (Research and International), Rafik Goubran, noting that to improve its research performance, Carleton must be strategic when exploring funding opportunities and must ensure that all research activities are accounted for when the SMA metrics are being assessed. “The SMA will help us develop our areas of strength as a research-intensive university and will help us do more trans-disciplinary research,” says Goubran. Section two of the SMA, entitled “Shared Objectives and Priorities for Differentiation,” covers areas such as student experience, teaching innovation, access and equity, and economic development and community engagement. 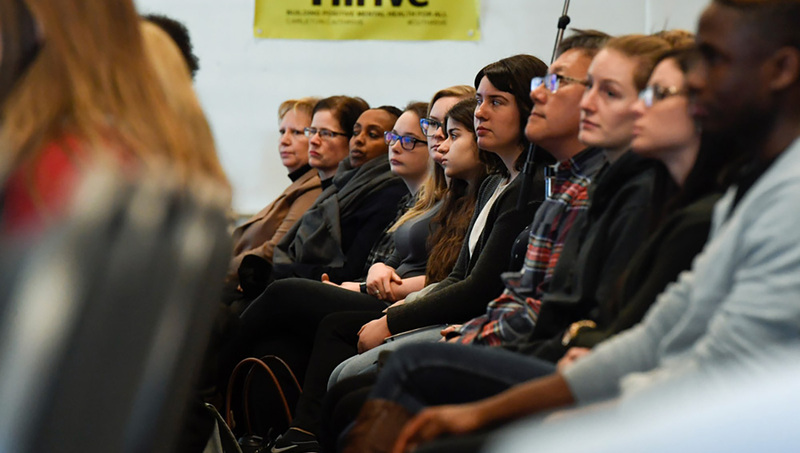 Under student experience, it notes that Carleton “has been very successful in launching new academic programs that reflect its distinctive research and multidisciplinary strengths.” There are also examples of institutional initiatives, such as the university’s mental health framework, a mentorship network and the intent to establish experiential learning as an expectation in all degree programs. 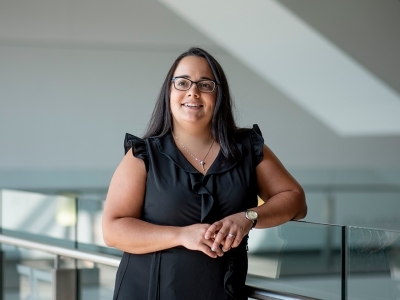 “Carleton’s overall objective is to help prepare its undergraduate students for the future, whether that is continuing their studies in a graduate program or going into the workforce,” says Vice-President (Students and Enrolment) and University Registrar Suzanne Blanchard. At a time when enrolment at most Ontario universities had remained stationary, the number of students attending Carleton continues to increase. This means that under Ontario’s “corridor funding” model, the university can expect stable support from the province during the current SMA, and possibility additional funding with the next SMA if enrolment keeps climbing. Corridor funding stipulates that while the total number of students is always in flux, as long as a university remains within three per cent of its enrolment objective, government funding will not change. If an institution is consistently more than three percent below, its corridor could be lowered in the next SMA — and if it’s consistently more than three per cent above, funding could increase. In the “teaching innovation” sub-section of the SMA, Carleton’s emphasis on field work for undergraduate science students and hands-on design projects for engineering students is highlighted. 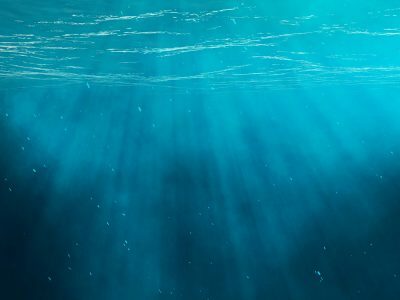 The value of case study competitions for business students, and the Bachelor of Computer Science’s unique internship program with industry partner Shopify, are also cited. Under “access and equity,” the work of Carleton’s Paul Menton Centre (PMC) to support students with physical and mental disabilities, and the university’s efforts to Indigenize through new programs, services and facilities, stand out. 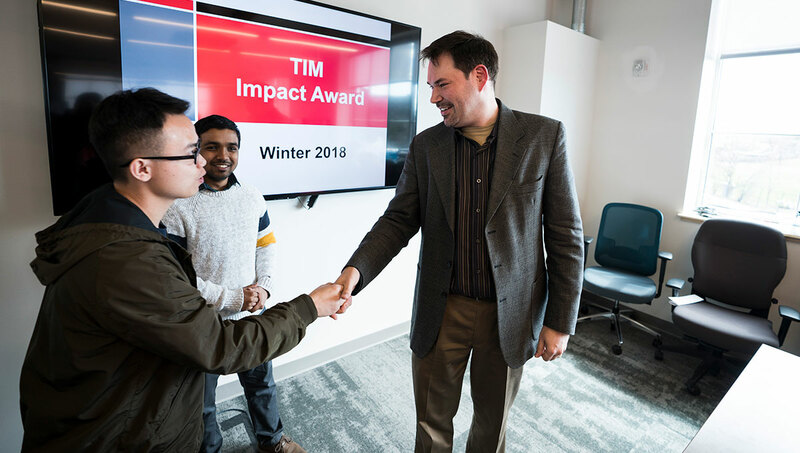 The TIM Impact awards, which recognize five of the best master’s projects from Carleton’s Technology Innovation Management program. 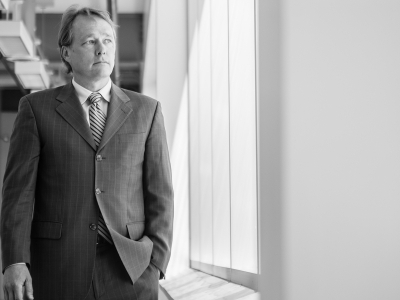 As for economic development and community engagement, the SMA mentions programs such as the Technology Innovation Management (TIM) master’s degree and the Lead To Win business start-up incubator, as well as the multi-stakeholder Advanced Research and Innovation in Smart Environments (ARISE) building under construction, and Carleton’s collaboration with high-tech clusters and municipalities around workforce development in the Eastern Ontario Regional Economic Development Task Force. Each of the above are followed by a “Metrics and Targets” table that sets goals for 2019-‘20, the last academic year of the current SMA. Examples include having at least 100 professional development opportunities for graduate students, ensuring that 80 per cent of all programs have three or more experiential learning opportunities, signing at least 375 formal research partnerships, and achieving an employment rate of 92.7 percent for graduates two years after they finish at Carleton. 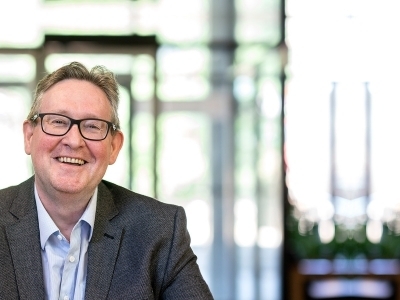 The SMA also explores institutional collaborations and partnerships, which is a strength for Carleton and a realm in which the university would like to increase and expand its connections. Beyond working with industry, government, community organization and non-profits, Carleton collaborates with other colleges and universities, including a joint Bachelor of Information Technology program with Algonquin College and several joint graduate programs with the University of Ottawa. 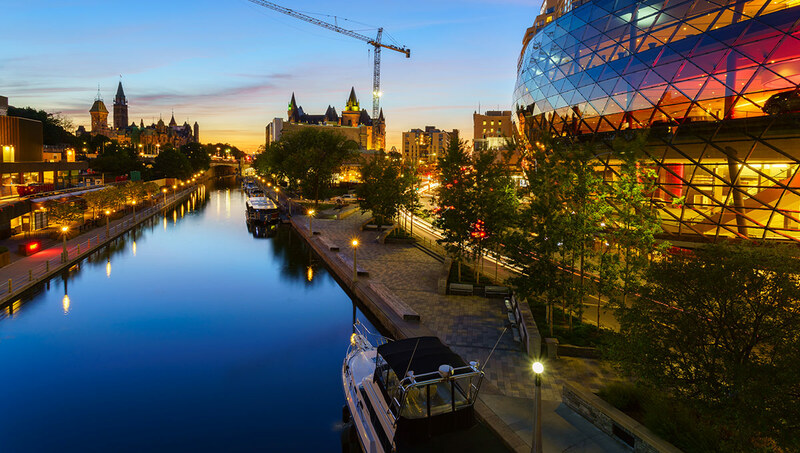 The Ontario government has provided two years of seed funding for “Ottawa: The Education City” to allow for experimentation around teaching, research and community engagement that institutions would otherwise have to “borrow” money from other parts of their budget to develop. 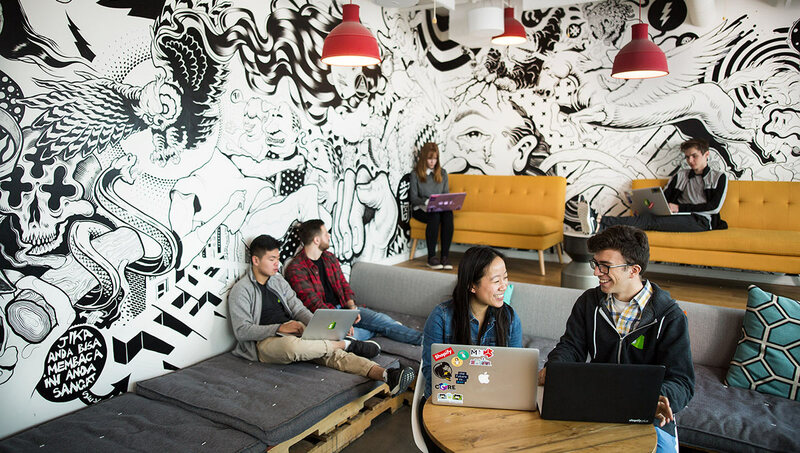 This collaborative showcase could set a national example for other universities and colleges to emulate.